High above Eau Gallie Blvd. October 24, 2018: Under sunshine and blue skies, the 5th Annual Rocky Water Brew Fest brought together 37 small Florida craft breweries and homebrewers for an afternoon of sipping suds for the benefit of the Eau Gallie Rotary Club charities on Saturday, October 20, 2018. Once again, Highland Avenue at the intersection of Eau Gallie Blvd. in the Eau Gallie Arts District of Melbourne traded vehicles for beer tents. With only 1600 allotted tickets, Fest Chair Tom Richards confirmed that there was "method to the madness," so that the ratio of guests to brewers results in a great experience for attendees. Last year, tickets sold out at the gate on fest day, and this year, online tickets sold out a day ahead, as announced on social media (what's that about "I told you so?"). 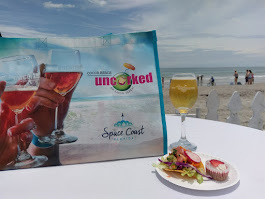 The beerfest, originally conceived around six years ago by organizers, took on a vision by Intracoastal Brewing Company head brewer Donald Atwell as an event designed to showcase the state's smaller breweries. 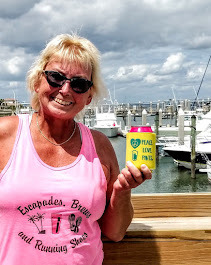 Partner brewery Intracoastal Brewing, itself located in the Eau Gallie Arts District about a block away from the Eau Gallie Square fest venue, kicked things off with a brewers' party on Friday night, which was open to the public. 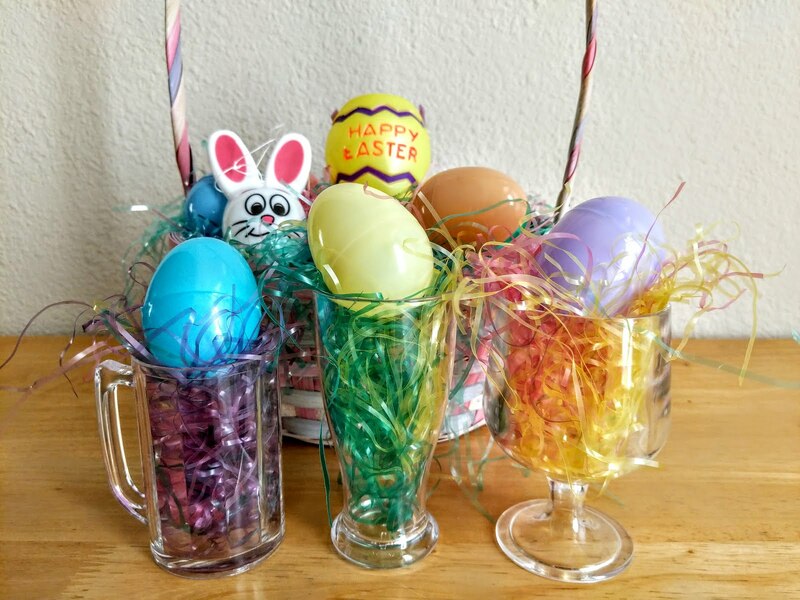 For those anywhere within a few blocks, there was no mistaking where this party was! The event featured food trucks, music, special beer releases, and a bunch of brewers roaming around Intra's new brewhouse, the beer garden, and original tap room. "Those guys at Intra are wonderful," said Fest Chair Richards. With Intra committing its staff to the fest and pre-party every year, Richards included a special shout-out to Maggie Williams, one of Intra's managers, who was instrumental in making things run seamlessly. 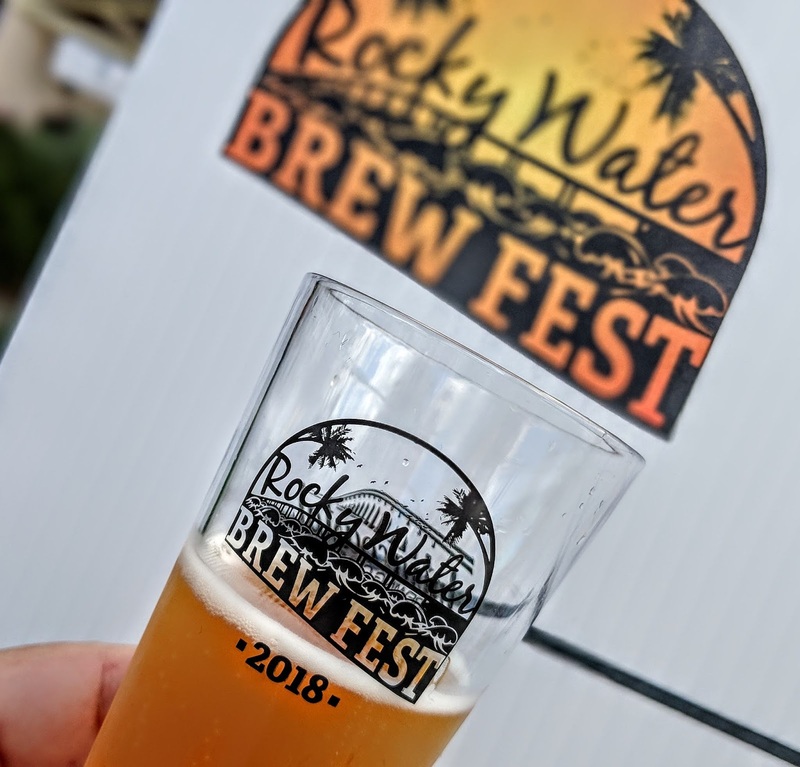 It was one rockin' time at the 4th Annual Rocky Water Brew Fest, presented by Eau Gallie Rotary, on Saturday, October 14 at Eau Gallie Square in Melbourne. The rain from Friday night and Saturday morning moved out, and it was smooth sailin' at the all-Florida beerfest in the Harbor City. The fest highlights the smaller breweries in the state, with many brewers and owners on board to talk beer with the craft beer crowd. Tickets sold out around 2pm on fest day, shortly after the gates opened. 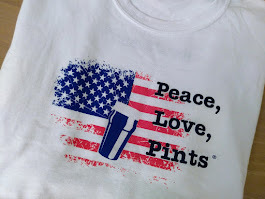 Thirty-five breweries, including the local SAAZ homebrew club and a nearby brewery-in-planning (see below), lined both sides of the streets under tents at the corner of Highland Avenue and West Eau Gallie Boulevard. Among the breweries were four 2017 GABF medalists: Big Top Brewing, SixTen Brewing, LauderAle, and Walking Tree Brewery. I attended this fest the first two years, and after last year's sideline (courtesy of Matthew), I was excited to be back. What a way to spend an afternoon! A word of caution: lots of photos ahead! 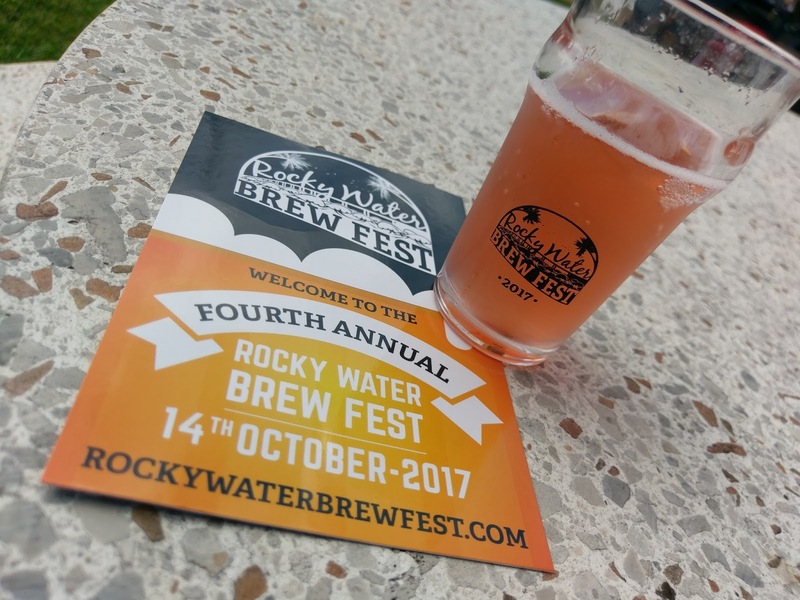 Melbourne, FL: The 4th Annual Rocky Water Brew Fest returns to Eau Gallie Square in the Eau Gallie Arts District in Melbourne on Saturday, October 14, 2017, from 1-5pm. 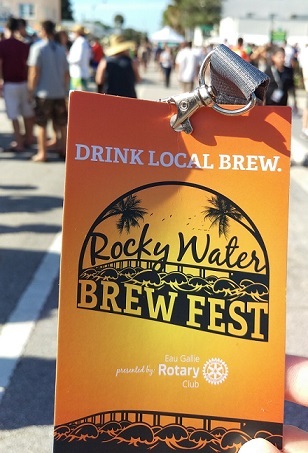 Presented by the Eau Gallie Rotary, the fest features over 30 Florida breweries. 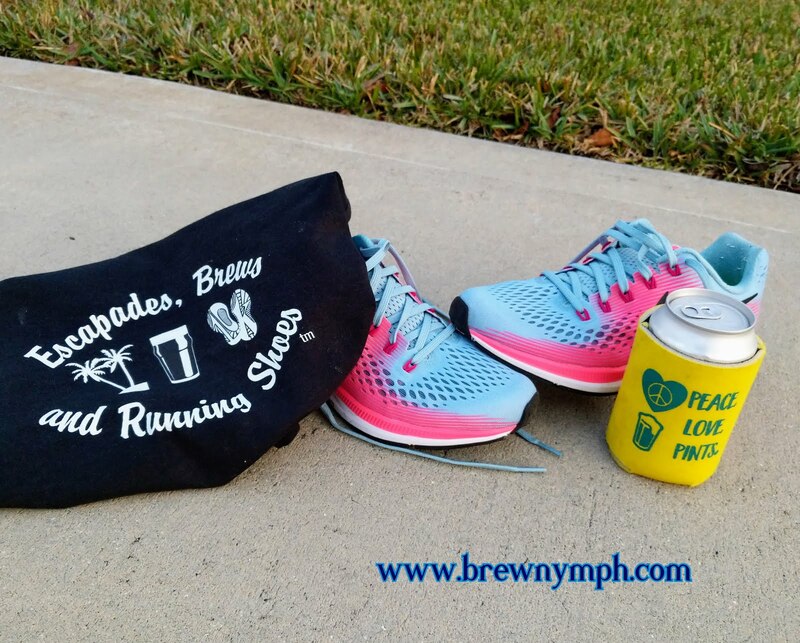 The Florida-only beerfest showcases the state's smaller breweries and gives attendees the opportunity to talk beer with the brewers and owners while sipping on local suds. Beer tents will line both sides of Highland Avenue at the intersection of West Eau Gallie Boulevard, and craft beer enthusiasts will enjoy samples of two to four beers at each brewery. 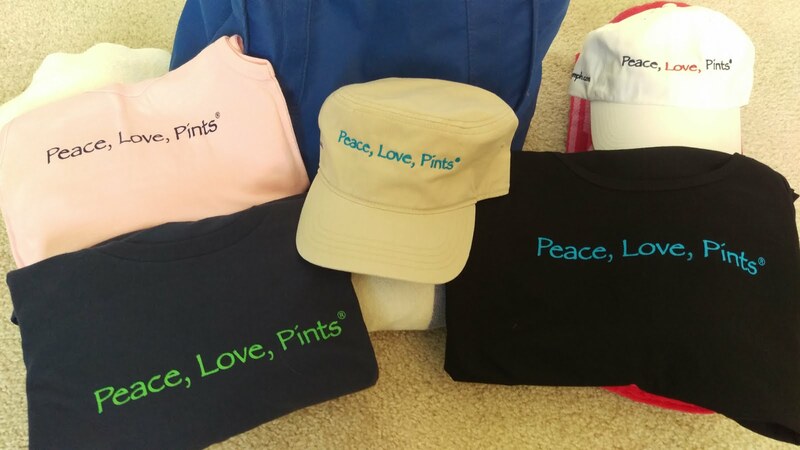 Not only does the fest highlight smaller breweries, but the fest itself is intentionally kept on the smaller side, as far as attendance goes, to create a cozy and quality atmosphere for the patrons. 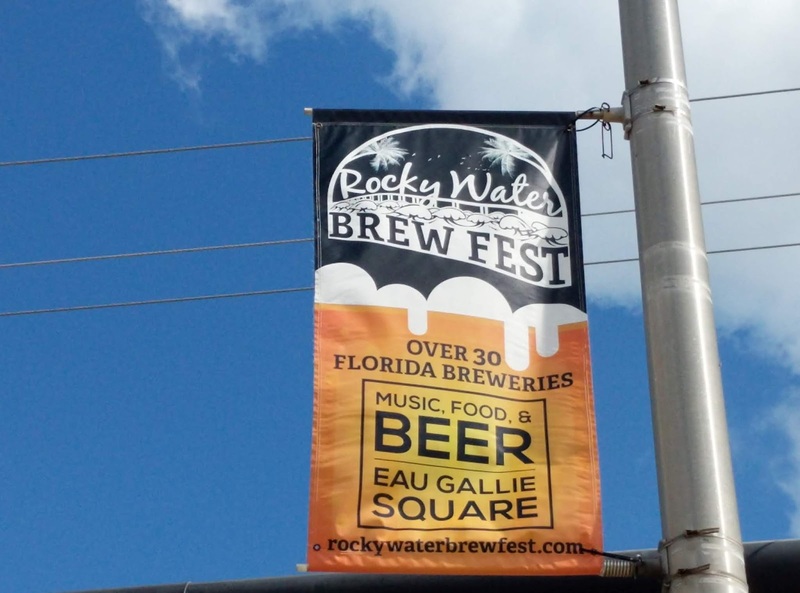 "It's about quality, not quantity," says Rick Nemetz, Rocky Water Brew Fest Chair. Brewers bring their choice of beers, which usually include some favorites, as well as new beers that may not have previously left their tap rooms. Time flies when you're here for the beer! 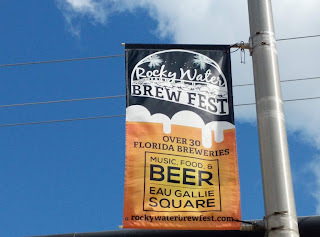 About a year ago, I made my way to Melbourne (Florida) for the inaugural Rocky Water Brew Fest, held in the Eau Gallie Arts District. 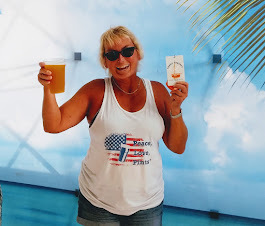 I had visited the Space Coast area a couple of months earlier, including stops at local breweries (See Blog Posts Episode 1 and Episode 2), and this fest sounded like a cool little event with all Florida breweries. 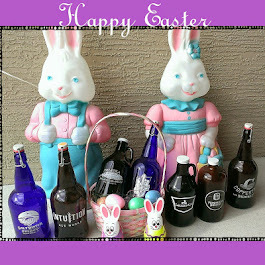 It rained, but the beer still poured, and we didn't let Mother Nature put the damper on things .... read about it here. I love beerfests, and this one definitely made an impression right out of the gate. So, of course it was on my radar for Year Two. Slingin' in the Rain .... 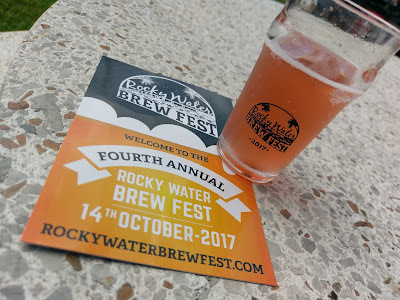 It Poured at Rocky Water Brew Fest!